Promotes secretion of growth hormones. Improves reproductive function (spermatogenesis, sperm motility). Contributes to healthy growth and development. One of the best anti-ageing treatments currently available is undoubtedly regular injections of synthetic growth hormone. This costs at least 6,000 euros a year. A far more economical approach is to stimulate production of natural growth hormone by providing the pituitary gland with the appropriate nutrients. 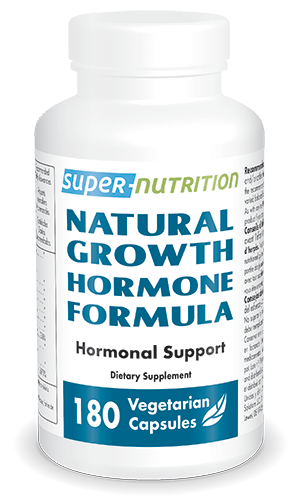 Natural Growth Hormone formula is a complete formulation which contains all the nutrients, at the recommended levels, mentioned in Dr Ronald Klatz's book “Grow Young with HgH”. Excipients: cellulose microcristalline, stéarate de magnésium, dioxyde de silicium. Take 4 tablets before exercise and/or before bed.